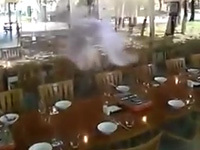 Boss shows employees whats up, while they are messing around dancing. Submitted by monkey on Tue, 06/18/2013 - 1:01am. Friendly guy goes outside to check if an owl that flew into a window is doing okay. Submitted by monkey on Tue, 06/18/2013 - 12:58am. 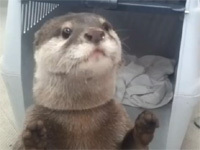 Otter knows how to use a vending machine to get himself a drink. Cute! Submitted by monkey on Tue, 06/18/2013 - 12:55am. 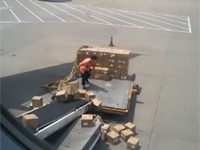 This air-freight handler is the worst at his job and has no respect for peoples shipments. Submitted by monkey on Tue, 06/18/2013 - 12:53am. 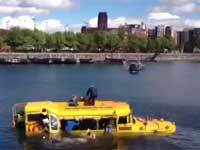 Amphibious bus starts taking on water during a tour. Submitted by monkey on Tue, 06/18/2013 - 12:51am. 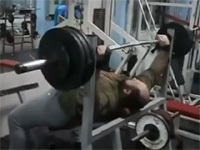 Well, that is a weird way to lift weights. Submitted by monkey on Thu, 06/13/2013 - 2:39am. Jonah Hill on Conan talking about his near death experience at a beach in Australia. Submitted by monkey on Thu, 06/13/2013 - 2:36am. 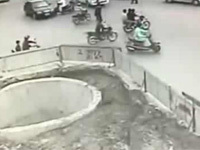 This guy really shouldn't go near a scooter ever again. Submitted by monkey on Thu, 06/13/2013 - 2:32am. Hummer suspension demo at some truck show goes really stupid. Submitted by monkey on Thu, 06/13/2013 - 2:31am. 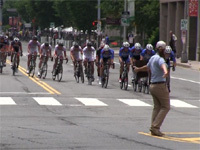 Staff member for the race is hit by a bicyclist and then it just gets worse because of a back track design. Submitted by monkey on Thu, 06/13/2013 - 2:29am.